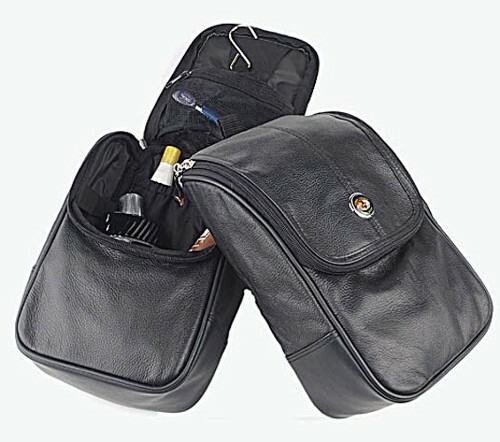 Popular travel and locker companion that conveniently organizes your personal accessories. Top grain leather with zipper closure. Hang-it-any where hook and easy to clean nylon lining. Full-color or satin etch .875" medallion imprint with epoxy highlight. Black only. • Available in a faux leather.